The Breakers Palm Beach is a magical wedding venue located in the town and Island of Palm Beach. Originally built by Henry Flagler, the Breakers Palm Beach sets the standard for opulence and excellence in the hospitality industry. The Breakers Palm Beach is the highest luxury hotel and resort in Florida and hosts the most specular weddings in the United States. The Breakers Palm Beach is also one of the most popular Wedding venues for celebrity weddings including Sofia Vergara and Rush Limbaugh. The Breakers is the finest of Wedding venues in Florida for those fortunate to possess the wealth to host a Wedding in this majestic Wedding venue. Couture Bridal Photography is South Florida's top rated Wedding Photography studio based in West Palm Beach with the most unique style best described as elegant, romantic and Timeless. I founded Couture Bridal Photography in 2008 and created a distinct style of Wedding Photography that incorporates a variety of photography genres to create and capture magical Wedding Images that not only highlight a bride and groom, but cast them as glamourous movie stars. As a lifelong photographer with over 20 years of training, education and experience I crafted my Wedding Photography style to appeal to brides and grooms seeking the ultimate fine art photojournalistic style of Wedding Photography with a bit of editorial, illustrative and glamour to create magazine cover worthy images brides and grooms could cherish for a lifetime. This style of Wedding Photography allowed me to be less intrusive, yet guide and direct my brides and grooms to create glamours theme wedding images. My style also allows me to create the a scene for special moments to take place. Setting the scene for a moment to take place allows for beautiful wedding day images that appear natural and un-posed. Couples hiring my Couture Bridal Photography team and myself also experience a supremely personalize Wedding Photography experience like no other. Couture Bridal Photography is dedicated to providing the most exclusive and dedicated boutique luxury Wedding Photography experience for couples worldwide. 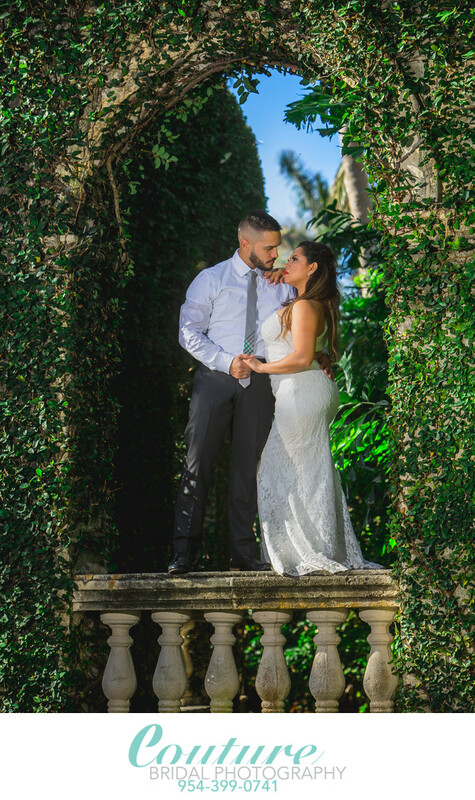 Hiring us for Breakers Palm Beach Weddings allows us to go above and beyond any other Wedding Photography studios services and abilities for any wedding. Some of the things that makes us one of the most sought after wedding photographers for Weddings at the Breakers Palm Beach and throughout Palm Beach is our lighting and ability to work with various lighting conditions and create unique and dramatic lighting for spectacular images that tell a story on their own. Overall, Couture Bridal Photography has received awards, recognition and fame for artistic Wedding Day story telling with carefully captured, curated and delivery of Wedding Photography collections that leave couples in tears of joy. Couture Bridal Photography also offers Professional high end printing and luxury Wedding album by GraphiStudio that are hand made in Arba Italy. Keywords: Breakers Palm Beach (9), bride and groom (198), Palm Beach (114), Portrait (3). 1/250; f/5.6; ISO 125; 125.0 mm.